Thanks to Conference Co-Chairs Robin Gerard and Jonathan Fitzgarrald and a terrific Conference Committee, I had the opportunity to present in Los Angeles at the recent Legal Marketing Association West Region Continuing Marketing Education (“CME”) Conference. My discussion on happiness was decidedly different than the excellent presentations on topics such as business development, public relations, competitive threats, career development and the like. I am blogging about it now because, although basic, it struck a nerve. I cannot cover my story-based presentation in detail here but would love to have the opportunity to visit with everyone who reads this post and is intrigued. Please hit me up at sanju@wickerparkgroup.com. I suggested to everyone to add “happiness” to their job titles. If you are a Director of BD, now you are a Director of BD & Happiness. If you are a Partner, now you are a Happiness Partner. If you are a Chief Client Relations Officer, you get the point. Happiness is an amorphous term, and even happiness experts do not know how to measure it. One thing we all do know is what unhappiness feels like. Happiness is about big things like relationships, attitude, meaning, positive emotion, memory, love, awe, play, accomplishment, engagement, laughter and gratitude. In most cases, it is not about circumstances. It certainly is not about money. Unfortunately, in the law firm setting we spend inordinate amounts of time on compensation. 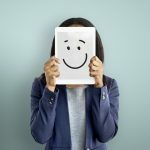 Clients are attracted to lawyers and staff that are happy and love what they are doing, but we rarely discuss happiness in law firms. I am going to do everything I can to change that. Along with all the other indicia of success, please help me bring happiness into our discussions. My dog’s name is Kushi, which means happiness in my native tongue, Hindi. That does not make me a happiness expert, but it demonstrates how much I value the word and its regular use. Try it. Make happiness a competitive advantage for your organization.